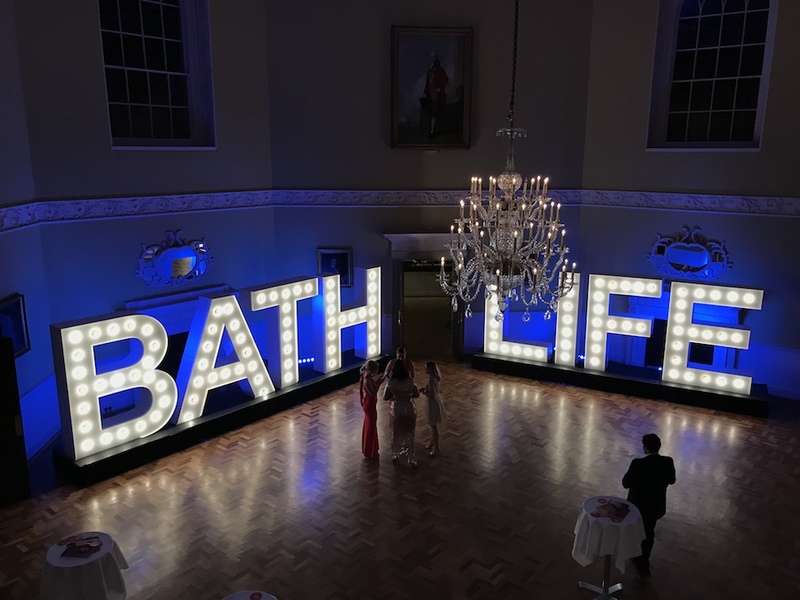 Enlightened were proud to continue their support and provision of full AV production to Media Clash’s presentation of the Bath Life Awards 2018. 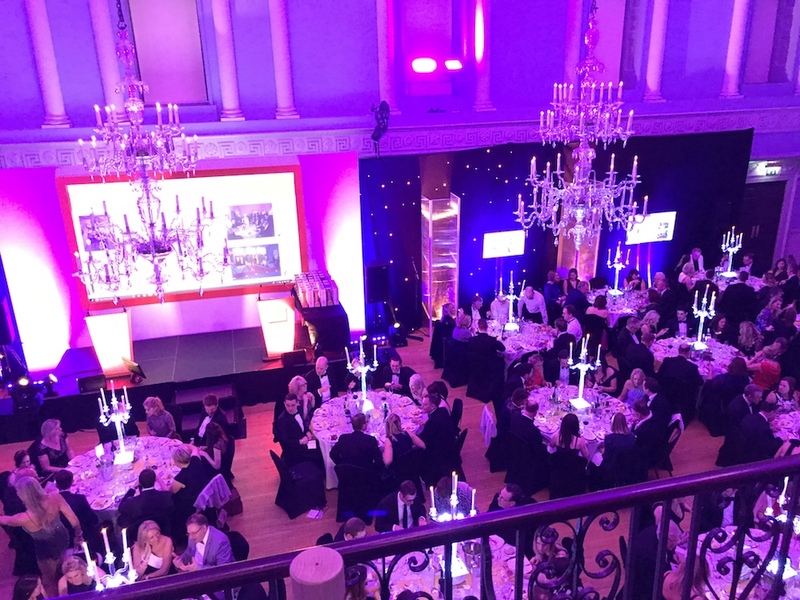 We have been providing full staging, lighting, sound and AV production for these prestigious awards for over a decade. .
Held in Bath’s beautiful and historic Georgian Assembly Rooms, which was described when built as 'the most noble and elegant of any in the Kingdom'. 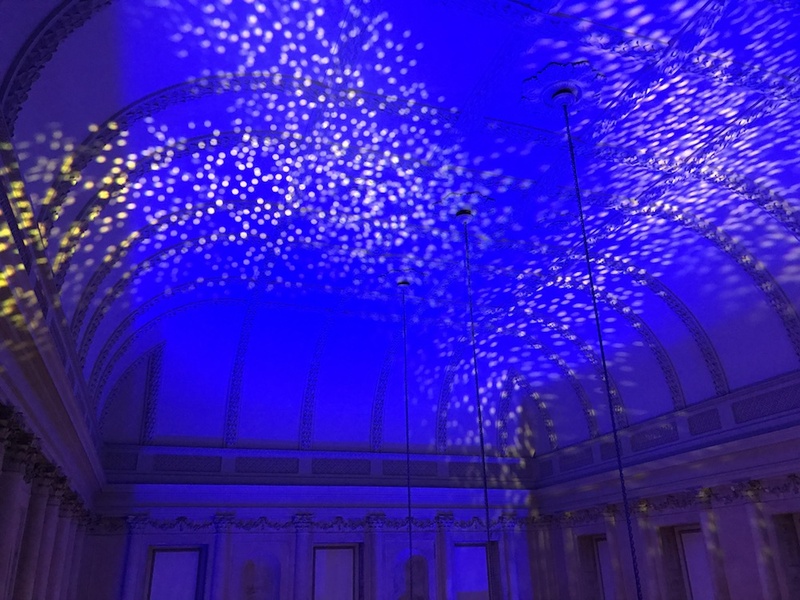 The lighting installation designed by Enlightened’s Derek Lee made the most of the venues period architecture to create striking and contemporary light compositions that dramatized the buildings classical proportions and provided a stunning backdrop to a glamorous and memorable evening. 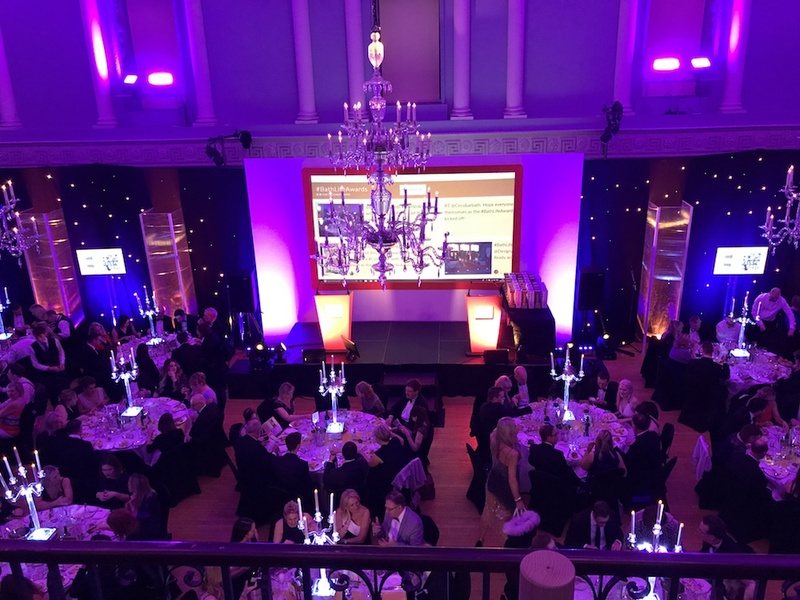 The award winner’s ceremony took place in 300 capacity, Main Ballroom though the popularity of the event necessitated that the remainder of the 500 strong audience of invited guests were accommodated in the splendour of the adjoining Tea Room. Working with a camera crew from Floating Harbour to provide a 6 camera feed sending real-time images from the Main Ballroom to 70’’ and 55’’ LED screens along with repeater screens of the 7000HD Projected keynote displays in the adjoining Tea Room. This enabled us to maintain a seamless transmission of the ceremonies anticipation and excitement. We were delighted to sponsor the Category of Hair and Beauty this year and look forward to supporting next years event. A full LED rig kept power consumption down to a minimum in both venues. 3 x 7000 HD projectors were used for the keynote, 2 in the ballroom and 1 in the tea room with repeater screens of 70” LED screens and 55” in each room. Viva Las Vegas: A Peer perfect party.